I've been on a reading kick recently. Four books in two weeks is pretty good for me. I will do this from time to time. Read a bunch of books and then go months without reading. I trade that time with binge watching tv shows. It's what I do. Anyway after finishing the Divergent series, I needed to fill the void with something else. I'd heard that The Fault in Our Stars was really good, but I honestly didn't know what it was about. I knew they're making a movie, which means it must be good right? ;) So what better way to fill a void than to read another book that will ultimately throw you into a deep depression by the end? Yeah I'm a masochist I've decided. Again there are spoilers, so if you haven't read it stop here and go read it. Seriously there are spoilers. So I found out really quick this book is about cancer. More specifically teens with cancer. And I knew right then, it was going to be a hard read. The bright side is that I absolutely love the way John Green writes. It's fun, youthful, and realistic. And it made me feel like I could read faster. I know that sounds weird, but the words just flowed through my brain so easily, and I read the book in three days. For me that's really fast considering I have a full time job and all. So the main character Hazel, is ultimately dying a slow death from cancer. She's forced by her parents to go to a support group where she meets a boy, Augustus, who is from the first moment he sees Hazel, enamored with her, and she doesn't understand why. They end up becoming friends, and then more than friends. They share each other's favorite books, spend all of their time together, and even take a trip to Amsterdam together to meet Hazel's favorite author. Which doesn't turn out so well. Through most of the book, you're under the impression that Hazel will die by the end, but then it takes a twist and the ever so healthy, but in remission Augustus ends up relapsing and he dies. 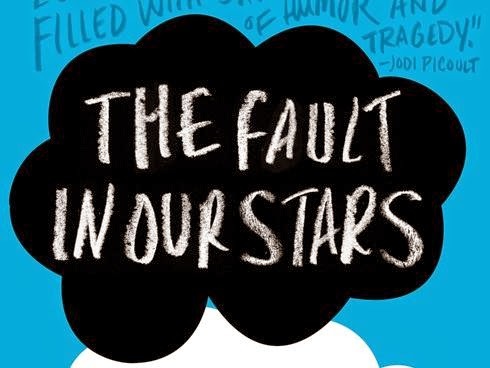 The hardest part of this book was definitely dealing with Gus' death. Having seen what cancer can do to a person when it's terminal first hand, made this book even more prevalent. I had to read the last 1/4 of the book through my tear soaked eyes, as the images portrayed through the words became more vivid in my imagination. I really enjoyed the portrayal of Hazel's parents. And I believe that is just how a mother would be when her only child is dying. The sarcasm brought out by all of the characters in the book was refreshing as well. Especially the banter between the teens. The only part that bothered me a bit, was the vocabulary of the teenagers. I felt it was a bit too adult and more like super educated adult. Maybe because I don't have the vocabulary myself? But in the end this book wrapped everything up just how I thought it might after the twist, and I was satisfied. Depressed, but satisfied. It's a very difficult read, but worth your time if you can muster up the strength to read it. Yeah that's a suggestion for those that still chose to read this review even though they haven't read the book. Now go read! Nice review. I liked this book.